Hualien sits between the Pacific Ocean and the Central Mountain Range on the eastern side of Taiwan, making it one of the most scenic spots in the country. With its pleasant climate and stunning views, international visitors flock to Hualien, where there’s plenty in the way of accommodation and other amenities – not to mention the famous Taroko Gorge just a few miles away. Hualien is Taiwan's biggest county and much of it is made up of some of Mother Nature’s best work. From the impressive gorges at Taroko National Park to the striking natural landscapes of the East Coast National Scenic Area, visitors to the Hualien area will find themselves among some truly magnificent scenes of nature. With its towering peaks and verdant valleys, plus its sweeping ocean views and friendly locals, Hualien has understandably become one of Taiwan's must-see travel destinations for both domestic and international visitors alike. There are frequent trains from Taipei, with the journey taking anything from two to five hours, depending on the train type. For the fast train, hop on the Taroko Express and be sure to sit on the left-hand side of the carriage to ensure the best views of the coast along the way. On arrival in Hualien, the Visitor Information Center is located just in front of Hualien Station. Admire the awe-inspiring natural beauty of Taroko Gorge, one of the Seven Natural Wonders of Asia, on this 13-hour tour from Taipei. There will be a guide to drop you off at the train station to let you hop on a train bound for Haulien; enjoy the scenic ride and learning about your destination on the way. Arrive at this top attraction and start exploring its sheer marble cliffs, winding tunnels and the vein of the Liwu River flowing through the gorge. Stop at a traditional Taiwanese restaurant for a lunch of typical local fare before heading to Chi-Hsing Beach and the Hualien Stone Sculpture Park. Lunch and round-trip transportation from Taipei hotels are included. Travel to Haulien and Taroko National Park by express train or private car — your choice — on this personalized tour of Taroko Gorge. Hike under marble cliffs on the Lushui Trail, and walk with your knowledgeable private guide around Tienhsiang village. On a driving tour, stop at scenic spots, such as Hualien Stone Sculptural Park, Eternal Spring Shrine, and Chi Hsing Beach. Your full-day itinerary includes aboriginal-inspired Taiwanese cuisine for lunch and round-trip transport from Taipei. Drive along the Northeast Coast National Scenic Area of northeastern Taiwan and stroll through charming Jiufen on this guided half-day tour from Taipei. Marvel at the unique rock formations at the Nanya coastline and see Pitou Cape. You'll pass fishing villages and pastoral farmlands before enjoying the charming teahouse-lined streets of Jiufen, also known as Chiufen. Hotel pickup and drop-off are included. Escape the city for a scenic drive along Taiwan’s most renowned coastal road, Highway 11, and enjoy spectacular views of the East Rift Valley, the Central Mountains, and the Pacific Coast. Stop along the way to climb Dashibi Hill, admire the Xinshe rice terraces, visit the old Japanese logging village of Morisaka, and stroll around Liyu lake. Enjoy a full one-day private tour exploring the Taiwan's amazing eastern coast around Hualien county. 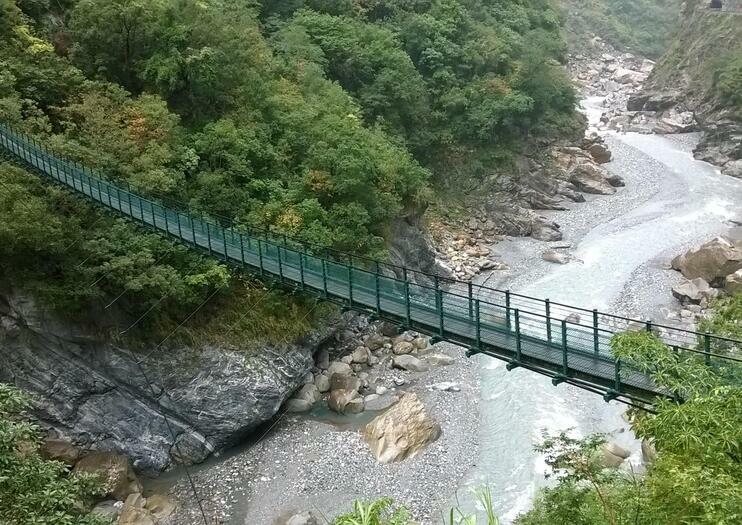 The Guangfu motorbiking route winds 21 kilometers up one of Hualien’s famous beautiful forest trail. Turn the throttle and zipping up through the cool mountain air, passing waterfalls and lanky palm trees to a altitude of 1,200 meters above sea level, from which distant mountains and lush valleys are just waiting to be instagrammed.Bring your loved one for a romantic view, your secret crush if you wish to have them fall madly for you, or your friends if you’ve already been left and need mother nature to console your bruised and bleeding heart. This trip is for the thrill-seeker, site-seer, nature lover, photographer, or just the average person looking to live a little. Our four day King of the Mountain epic takes in Asia’s most challenging climb – the mighty ascent of Taroko Gorge to the highest road in Taiwan at 3280m – as we ride the whole way from Hualien through Taiwan’s precipitous peaks all the way back to Taipei. By the time you roll back into the capital you’ll have ridden 450km and have climbed the equivalent of Mt. Everest – so this isn’t one for the fainthearted.The price of the tour includes 13 nights accommodation, breakfast and lunch, local guide/ride leader, support vehicle, and internal transport. With a vastly experienced guide and a support vehicle with you at all times, you can rest easy and focus on the ride!